Pura Luhur Batukaru or Batukau is one of the six key temples in Bali, the Sad Kahyangan, which is highly respected and extremely sacred. 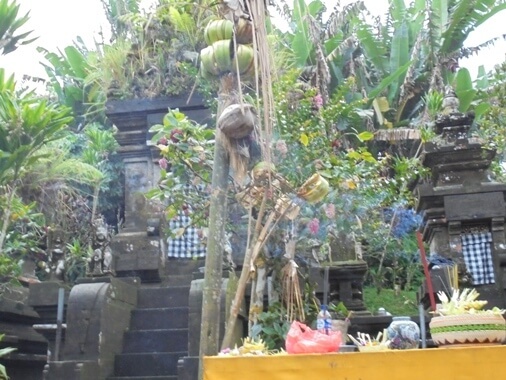 This holy temple is precisely located in the Wongaya Gede Village, district of Penebel, Tabanan Regency, Bali. The temple is situated at a height of 650 meters above sea level, on the southern slope of Mt Batukaru (2,276 m asl, the second-highest mountain in Bali). 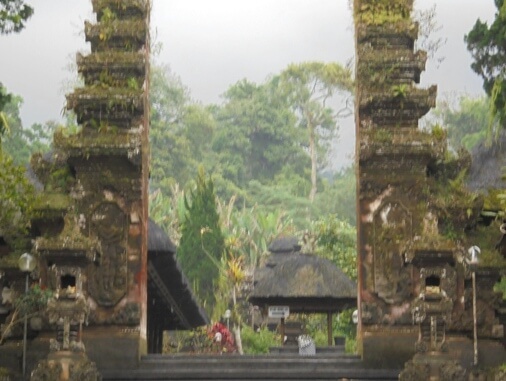 This is an ancient temple, set amidst of tropical rain forest, covered by quiet mountain atmosphere and holy vibe. Entering the temple is really amazing, a beautiful garden setting of hibiscus and frangipani trees, flowering beautifully, picked and used for daily offerings. The impression is so majestic and artistic, rows of ancient temples (meru), candi, complete with stone sculptures and walls covered with moss. The cool temperatures, drizzle, coupled with clumps of moist mist as if it were a "separator layer" from the outside world, mystical and full of mystery. 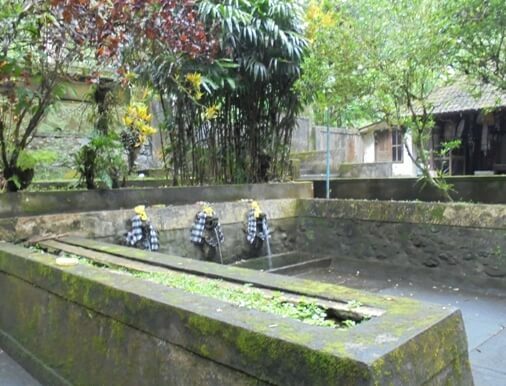 From the historical record, Batukaru Temple is having been originally established by Mpu Kuturan, in 11 century. Then the temple was destroyed in 1605, by Ki Gusti Ngurah Panji Sakti, King of Buleleng. The king wanted to expand the territory to the Tabanan area, but failed. The temple that has been damaged keep remained in that condition up until rebuilt in 1959. 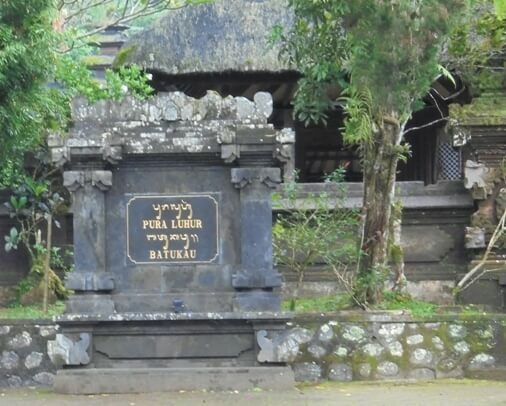 But long before Mpu Kuturan came to Bali, this place is mentioned as an Ancestral Sanctuary used by Hindu-Buddhist hermits to live the life of Wanaprastha, strengthen life, and contemplate about the world and the universe. A holy place that keeps many secrets and history of civilization. 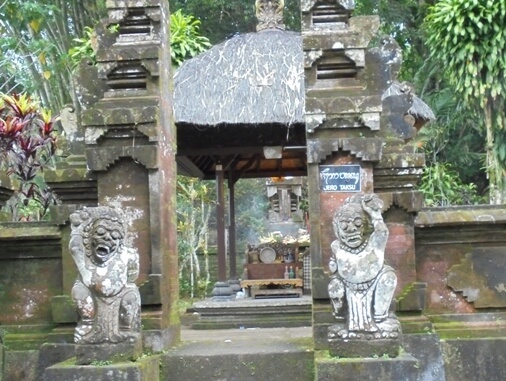 To perform prayers at Batukaru Temple, it is recommended to first pray at Pura Jero Taksu. Then proceed to the shower area (pancuran), where there are several water showers used for gargle, washing face, clean hands and feet. The process is followed by praying at Pelinggih Pura Pancuran. This is a sign of physical and spiritual purification or often called sekala niskala. 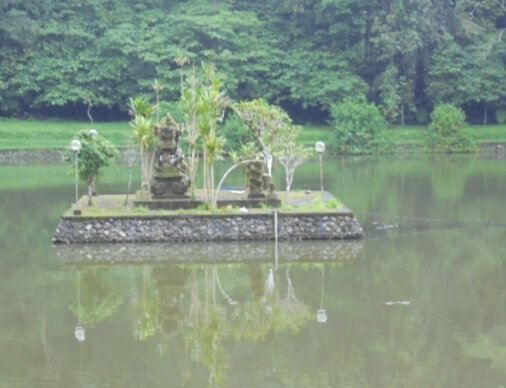 Close to the entrance to the main area (Utama Mandala), there is a lake with pelinggih in the middle. This is the source of water or beji. Look so beautiful surrounded by trees and shrubs, reflecting shadows in the calm lake water, causing the impression of floating. In the innermost or Utama Mandala, there are many shrine such as candi, meru, bale, and more. There are several meru with tiered roof up to seven levels, made of black palm-fiber. There are also small bale and statues. While the main building in the form of candi (made of stone) with a distinctive architecture, flanked by ancillary temples (candi Perwara). This temple is said to have gained influence by the architectural style of temples in Java and India.. This main temple is the stana of Sang Hyang Mahadewa, or in the local belief referred to as Ratu Hyang Tumuwuh, the God who graces the soul and cultivating the plant. The temple piodalan ceremony falls every 210 days (6 month in Balinese Calendar) on Thursday Umanis Dungulan, the day after Galungan. The piodalan ceremony and the grand ceremony are led by the priest (pemangku) called Jero Kubayan. Kempers, A.J. Bernet (Jun 11, 2013). “Monumental Bali: Introduction to Balinese Archaeology & Guide to the Monuments". Tuttle Publishing. ISBN 9781462911547. Accessed on May 10, 2017. Ottersen, Carl (Feb 11, 2016). “The Great Guide to Bali: For Tablets". No Trees Publishing Ltd. Accessed on May 10, 2017.